The congressional race is tightening in Illinois’s 6th District as Democrats vie for control of the U.S. House of Representatives. Incumbent Peter Roskam (R-Ill.) is fighting to keep his seat against Democratic contender Sean Casten. 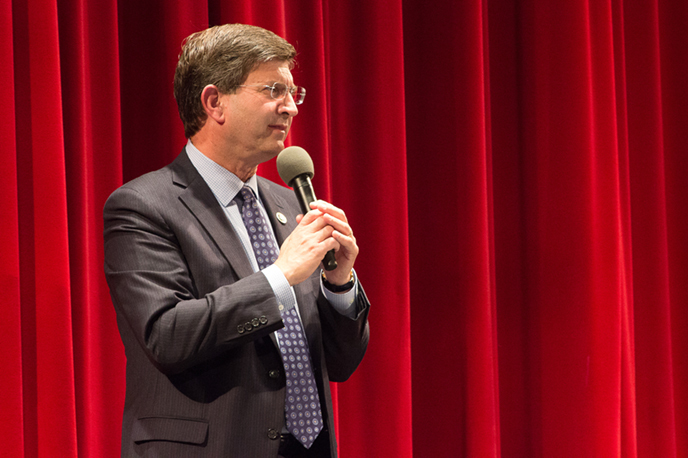 If elected, this would be the clean energy executive’s first time holding public office. 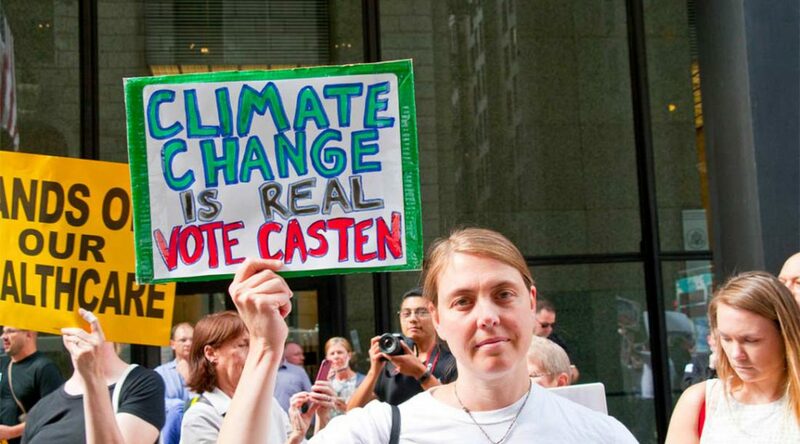 With the midterm elections barely one week away, a New York Times poll from Oct. 26 shows Casten leading Roskam 45 to 44 percent, well within the margin of error. Casten’s victory is not certain, but this race is closer than any of Roskam’s previous six winning campaigns for Congress. This race, which echoes battles in suburbs across the country, is one of the most closely watched nationwide. Democrats need a net gain of 23 seats to take control the House for the first time since 2011. 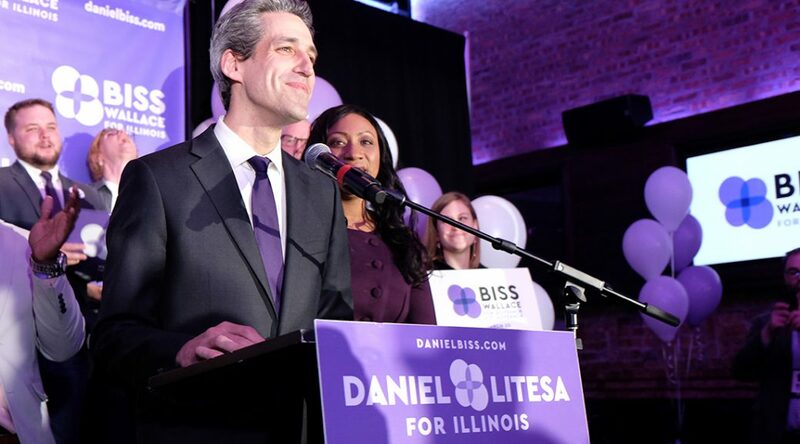 The crowd of roughly 350 staffers, volunteers and supporters of State Sen. Daniel Biss (9th) shifted from joyful to somber in just two hours after the polls closed across Illinois earlier this evening. Billionaire businessman J.B. Pritzker won the Democratic gubernatorial primary race with more than 45 percent of the vote, nearly matching the 50 percent vote count that Biss and Chris Kennedy captured combined. 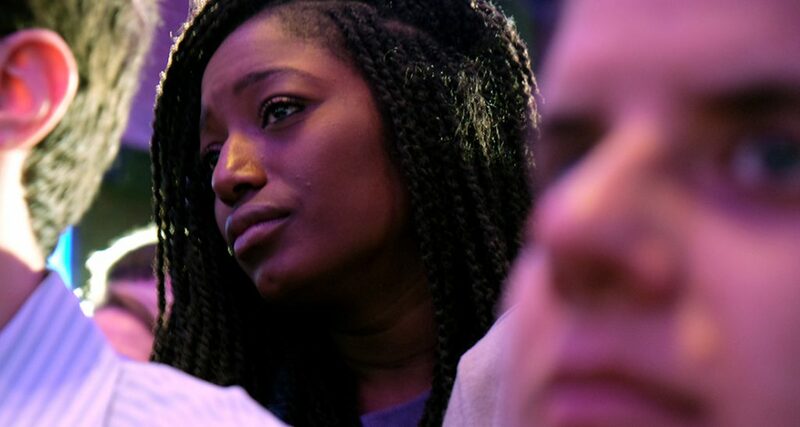 A supporter of State Sen. Daniel Biss listens as he delivers his concession speech on election night. Biss shot ahead shortly after polls closed with less than 1 percent of the precincts reporting, but the race quickly turned in favor of Pritzker. 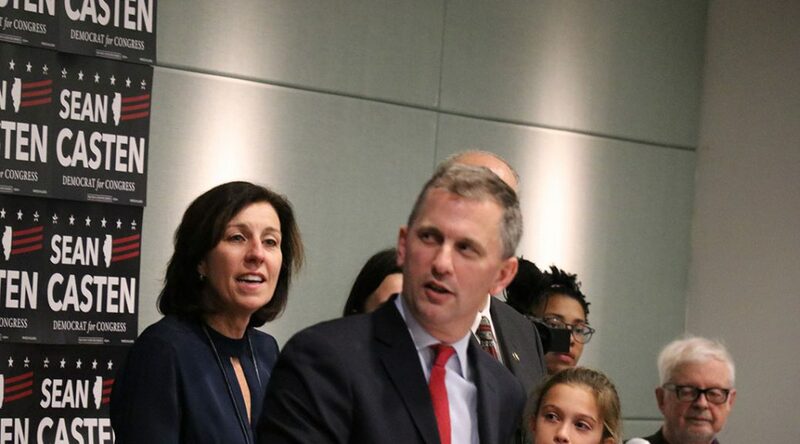 The State Senator lost both the gubernatorial primary and his current senate seat this evening. His senate seat was up for re-election this year and Biss was only able to enter one political contest. But Biss, who ran as the “middle-class candidate” among the front-runners, offered hope and gratitude in his concession speech. The crowd listens to State Sen. Daniel Biss’ concession speech following his defeat in the primary for the Illinois gubernatorial race. Nora Handler, a 62-year-old campaign volunteer for Biss said the State Senator’s record of supporting policy issues for people with disabilities motivated her to join Get Out the Vote efforts in support of the candidate. “I’ve seen him on the streets fighting for budget cut issues and wage issues for people who support people with disabilities, long before he ran for governor.” said Handler. The state senator and former University of Chicago math professor has held office in Illinois since 2011 . 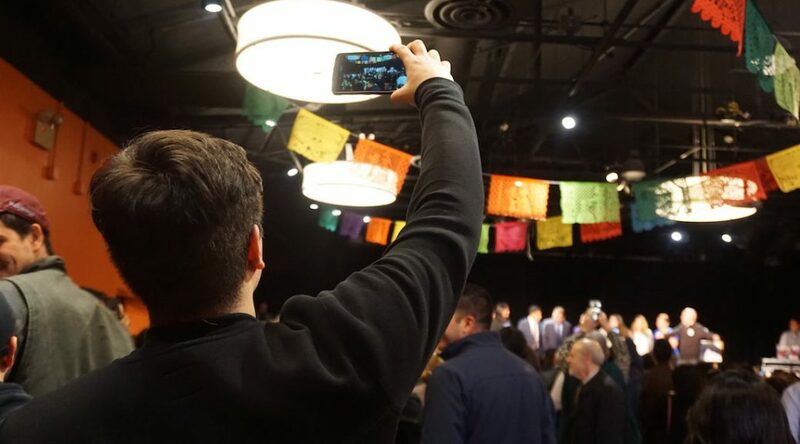 The race heated up quickly between Biss and Pritzker, from the first televised forum when Pritzker called into question the State Senator’s voting record in support of Illinois House Speaker Mike Madigan, to the last gubernatorial forum, where Biss called the billionaire’s campaign a fraud. 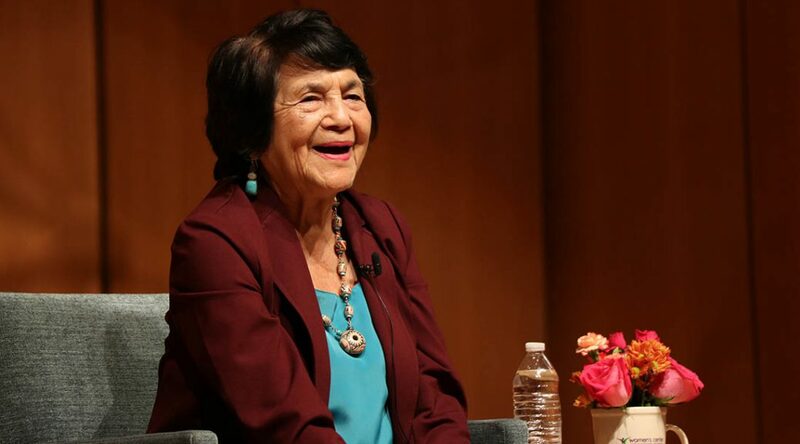 Pritzker is estimated to have spent nearly $70 million to win the primary. Wealthy businessman Chris Kennedy is the son of the late Senator Robert F. Kennedy.